My son and I received this. 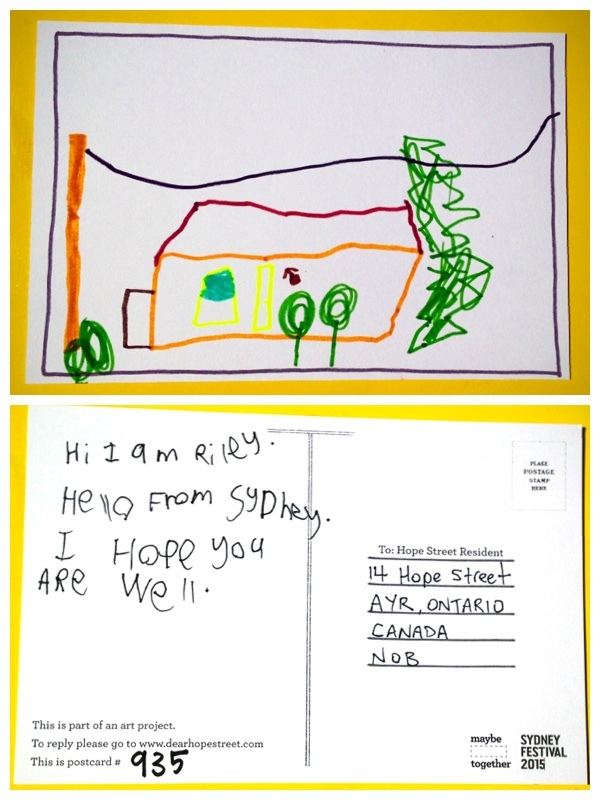 He loved getting a postcard from “his friend Riley in australia”. Every night before bed he likes to look at it and imagines what the drawing is a picture of. I just realized this is our house!! Very neat idea!! Hello Bec. My son Riley will be thrilled to know you received his postcard.